Karen is a village located in Jammu and Kashmir, India. It is located in the Neelum Valley on the bank of the Neelum (Kishanganga) river. The village lies on the Indo-Pakistan border. The Keran block includes three villages: Keran, Mundiyan and Pathran. 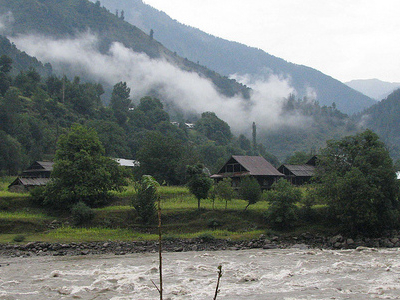 The adjacent habitation on the Pakistani side is also called Keran. The Neelum River flowing through village acts as the natural border between the two habitations. While both sides have the same predominant religion, social and cultural practices differ greatly. The people are not allowed by Indian and Pakistani officials to intermingle. Karen village is surrounded by dense forests.The village is said to have been established by Raja Karn in the tenth century. In 1990, the Indian army relocated the villagers due to the insurgency. In 1992, a flood swept over the cultivated land and houses. 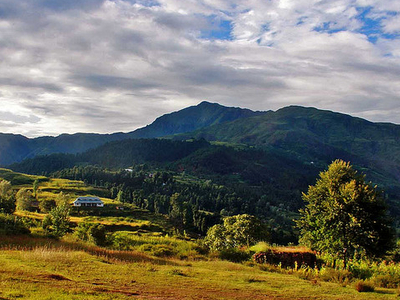 Here's the our members favorite photos of "Towns & Villages near Kupwara". Upload your photo of Keran!